This badge was issued to Christopher Mun on 20 Mar 2015. GCED holders have demonstrated more advanced, technical skills that are needed to defend the enterprise environment and protect an organization as a whole. 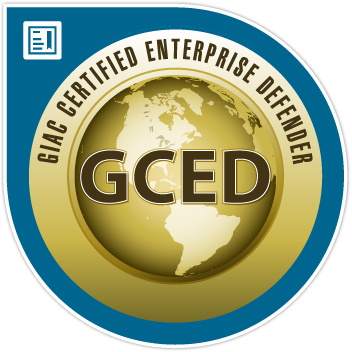 Professionals holding the GCED have the knowledge and skills to work with Defensive Network Infrastructure, Packet Analysis, Penetration Testing, Incident Handling, and Malware Removal.